Since 1996, Skillet has been entertaining audience with amazing live shows. Their concert at Wonder Jam was no exception. 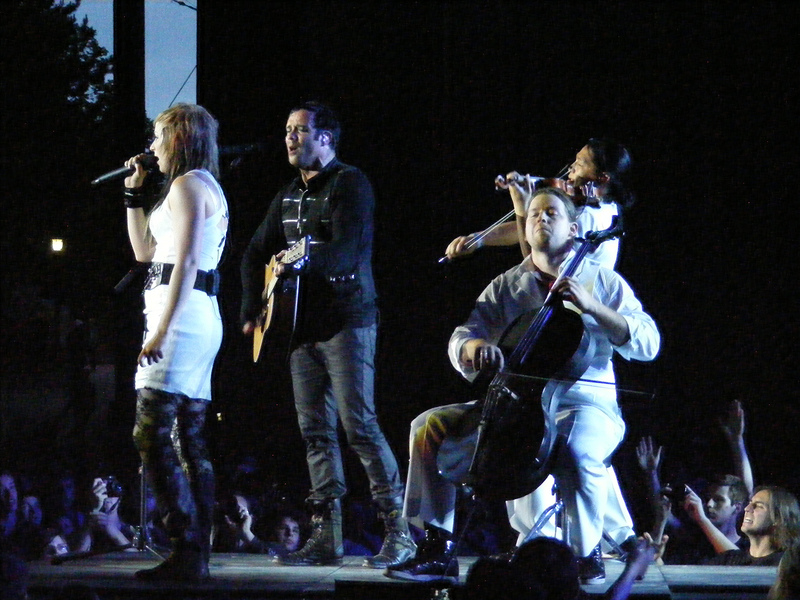 This was the second time I had seen the Skillet play live, the first time being 2007 at SoulFest in New Hampshire. Much has changed in the interim. 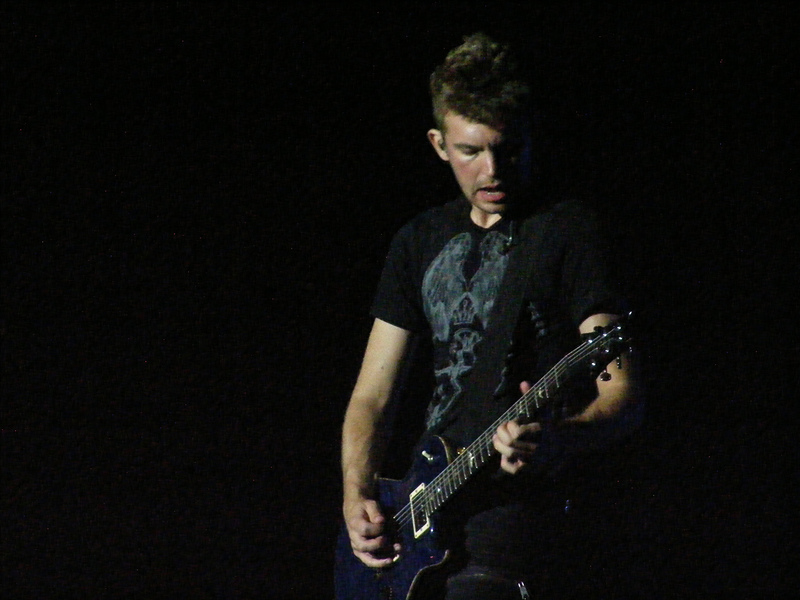 Ben Kasica former lead guitarist has left and been replaced by Seth Morrison. Lori Peters was replaced by 21 year old drummer/vocalist, Jen Ledger. In additon, a new album, Awake, was released in 2009. Rarely do bands, either Christian or secular, stay at the forefront of their field for this length of time. Skillet has that ability. 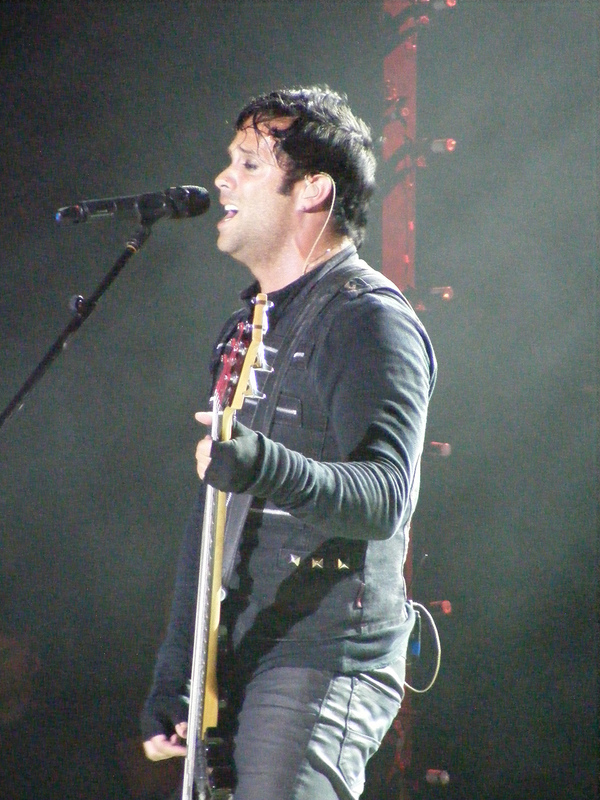 With the exception of John Cooper’s bass guitar skills and raw vocals, the band is not known for it’s abilities, nor are they know for writing profound lyrics. 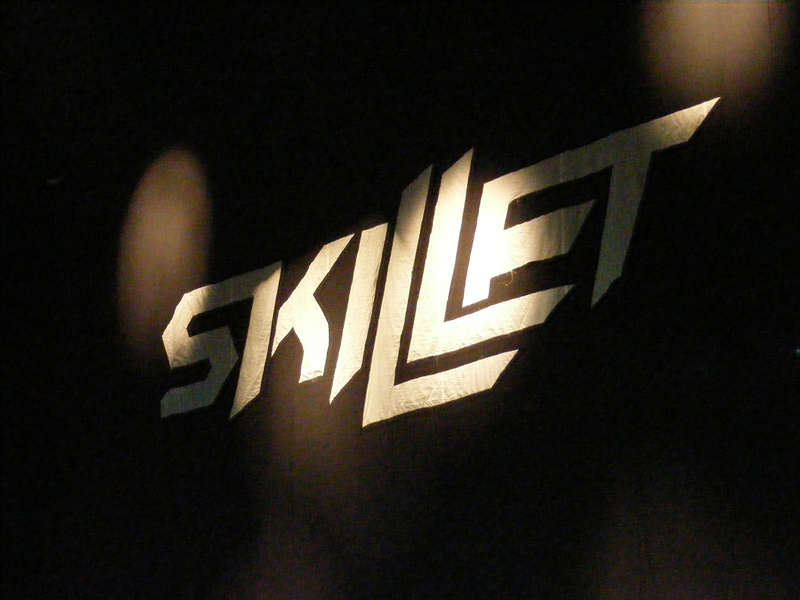 What Skillet can do is combine their abilities with catchy tunes and dynamic lead vocals by John Cooper. The June 25th concert started with a stage blackened by a giant Skillet banner. Twin spotlights come on highlighting touring musicians, Jonathan Chu and Tate Olsen on violin and cello respectively. 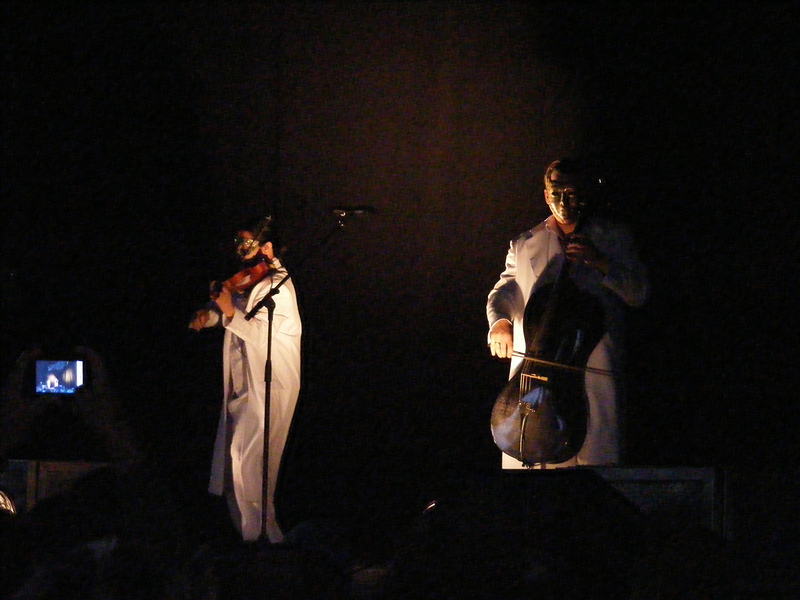 Both performers are wearing white ties and tails with Venetian masks. The sound of the string instruments flow out over the crowd. As the music builds, the backdrop banner falls away revealing a huge, multi-level stage with the rest of the band in place. John Cooper on bass and lead vocals, Korey Cooper (John’s wife) handling keyboards and syntesizer plus some vocals, Seth Morrison on lead guitar, and Jen Ledger taking charge of drums and backing vocals. The string players lead the band into the first verses of “Whispers In The Dark”, followed by “Hero”. 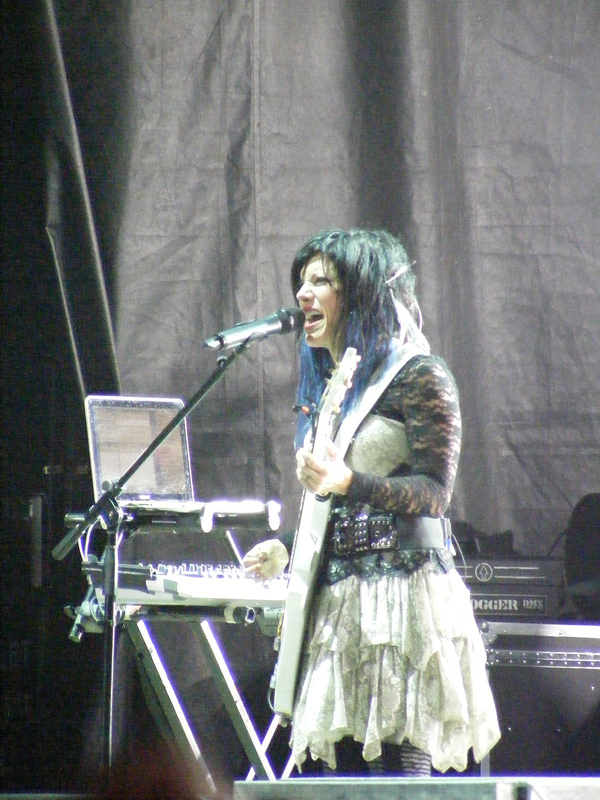 Korey offers a short segment of “Monster” performed on a vocoder. “Comatose” and “Awake” follows. Platforms elevate individual band members up to eight feet above the surface of the stage. On “Awake” Jen Ledger makes use of an elevating and revolving drum platform that comes a close second to the newsboys’ similiar apparatus. The pace slows down at John and Jen share vocals on “Yours To Hold”. The song deals with a person alone and hurting without Christ, even He is right beside them. The duo continue with “Last Night”. Probably the only poor part of the concert is the solo’s. Seth Morrison makes use of the cat-walk to offer a guitar solo, Jen Ledger follows up with a solo of her own on her drum kit. Both are solid musicians, but not of the calibre to do solo’s. 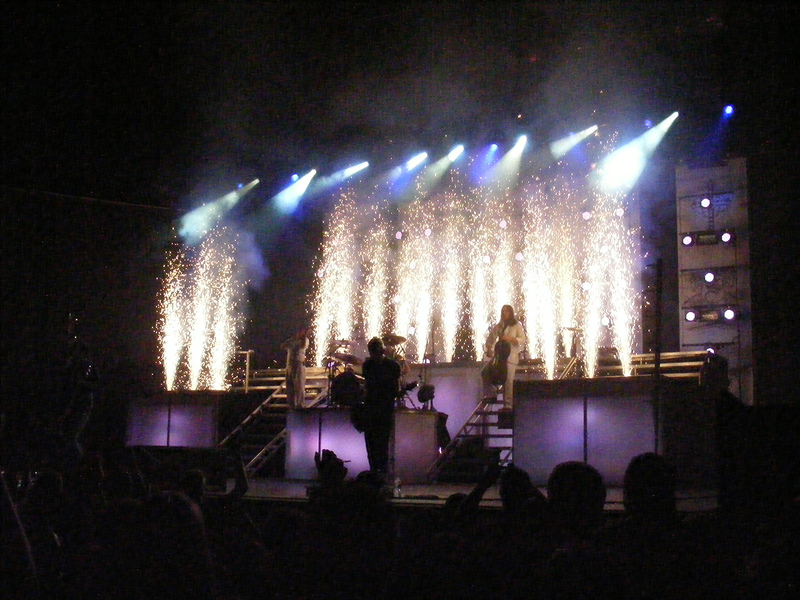 During the entire concert pyrotechnics abound, creating an output to equal that of the fireworks display in Ottawa on Canada Day. The pyrotechnics and fog take over the stage, synced to the individual band members and songs. This is a highlight of Skillets concerts, well planned and totally coordinated to accent the whole concert experience. On “Savior” the fog abounds. The mock up for “Monster” comes across as being a bit cheesy as John Coopers sings from the head of the monster. The crowd’s roar brings out Jonathan Chu and Tate Olsen to each take a deserved solos. I can’t go on enough about how much the two string players adds to Skillet’s live performance. Skillet closes with the final encore. The fans (referred to as “panheads”) sings along with the band members on “Rebirthing” (as they had sung along with every song). Superlatives are lacking when describing Skillet’s live show. Simply put, a Skillet concert is a spectacle in the best sense of the word. An experience that shouldn’t be missed.